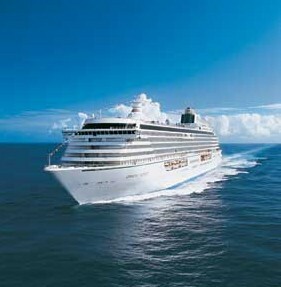 The inspiring couple of American astronaut Mark Kelly and former U.S. Congresswoman Gabrielle Giffords are boarding a ship of another kind this summer: Crystal Cruises’ Crystal Serenity, for a luxury Mediterranean voyage sailing from Lisbon to Rome on July 25. Kelly is scheduled to speak to guests about the power of the human spirit, with wife “Gabby” joining for a special appearance and photo opportunity at presentation’s end. The couple quickly gained fame in January 2011, when Arizona Representative Giffords was the victim of an assassination attempt—just months before Kelly’s scheduled command of the final Space Shuttle Endeavour flight. Following more than a year of her intensive rehabilitation for a gunshot wound to the head, and his 17-day trip into earth’s orbit, the heroic husband-wife team have now retired from their government positions while Giffords continues to recuperate. 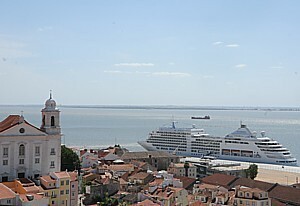 The “Romancing the Riviera” itinerary starts with an overnight in Lisbon before sailing to Gibralter, Barcelona, Palamós (maiden call), Cannes, Monte Carlo (overnight), Florence/Livorno, Porto Venere, and Rome/Civitavecchia. Until April 30, “Book Now” fares for the 12-day, all-inclusive cruise start at $5,410, with attractive air add-ons available from over 90 North American gateways. Crystal’s Family Memories program offers additional perks and savings for groups of six or more.